I remember the first time I tried my baby with some solid food. It was apple puree from granddad's garden. What could be a better start? Except the apples were very tart and I didn't want to add any sugar. I put a tiny bit in his mouth. He looked at me, those big blue eyes under his fluffy yet strangely spiky baby hair. A big smile lit up his face. Why did you take so long mum? Introducing your baby to solids is a really exciting time both for parents and babies. They love exploring new tastes and textures; learning all about this eating game. For parents, it's an amazing time to watch and see your baby develop a new skill. There are heaps of photo opportunities, babies covered in mushy banana or with avocado all over their hair. And your walls. Yep, you’ve got it, it can be a little on the messy side. But if you ask me, I’d recommend that you sit back, enjoy it and get used to the mess. Children in my experience don’t come with a self-cleaning mode! When Should I Start to Introduce Solids? The WHO (World Healthy Organisation) recommends that breastmilk or formula is adequate to fulfil all your baby’s nutritional needs until 6 months old. 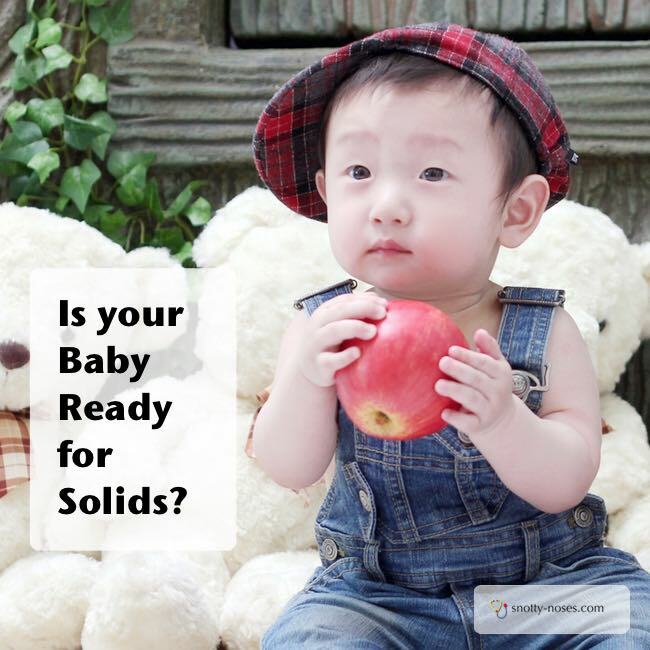 Most health departments recommend not to introduce solids before 4 months as your baby isn’t ready for them that early on. So 6 months is fine and if you want to do it a bit before that depends on your baby. They may also start to take an interest in food and watch you as you eat. 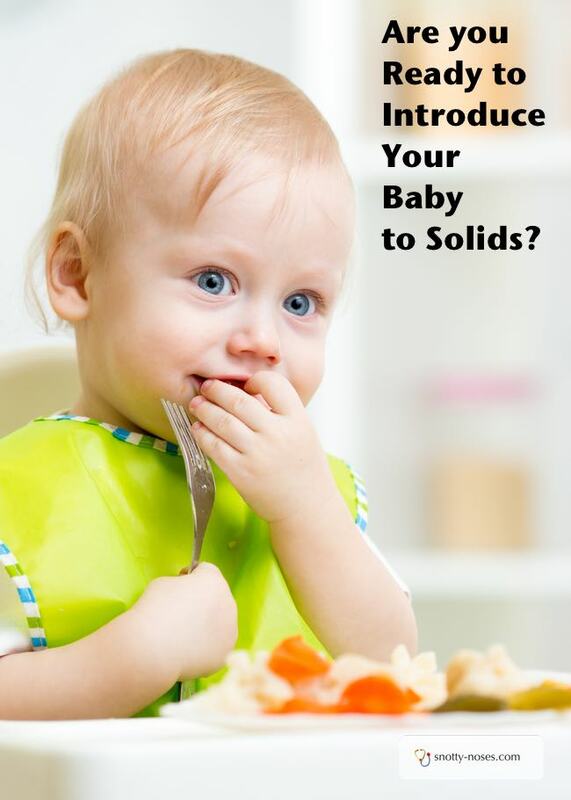 Many parents have started introducing solids when a baby has reached over, grabbed whatever was in their parents hands and shoved it in their own mouths. Sometimes people think that these signs indicate that their baby is ready to start solids, but actually they are normal behaviours rather than indications of hunger. Wanting extra feeds, either during the night or day. Don’t leave weaning too long after 6 months as babies have a window of opportunity to start with lumpy food. If you miss that window, you might find it an up hill struggle to get your child to accept new and different textures later on in life. This is one of those amazing baby times. That little bite of apple puree was nearly 7 years ago now. I remember it as if it was yesterday. Cherish this moments. They are gold dust in your parenting journey.